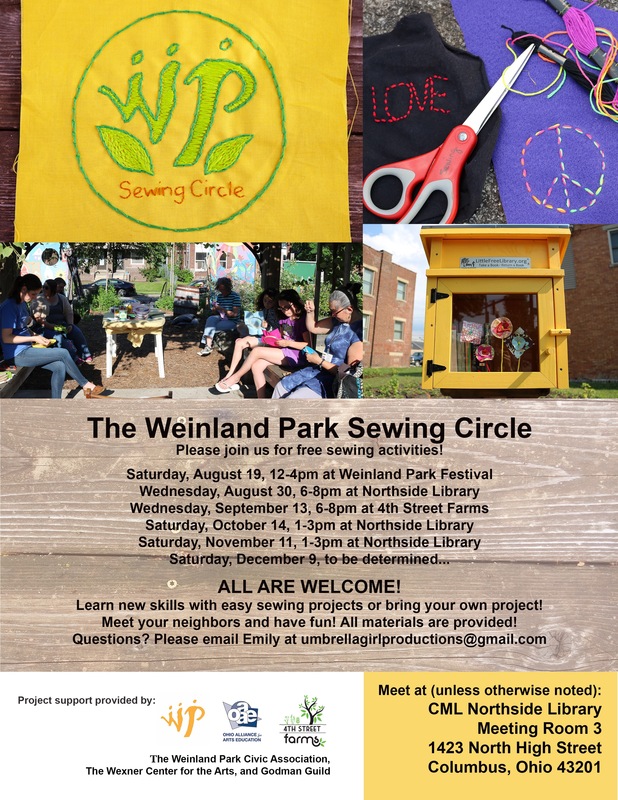 Sewing Circle will have an activity booth at the Weinland Park Community Festival this Saturday. We will be making a fun fabric flower! We also have new dates scheduled.